Catherine has worked extensively as an international management consultant. She has both business start-up and general management experience. Over the last twenty years she has worked across a wide range of industries leaving her with a broad and multi-faceted understanding of the business world. Prior to founding Footprint Consulting Catherine built from scratch Façade Solutions; a business for BlueScope Steel. She then led the business as the General Manager for five years. In this time she created a strong and dedicated team who successfully brought Façade Solutions to commercialisation stage despite the challenges posed by the GFC. In 2010 Façade Solutions was the recipient of a prestigious national award for the innovative use of steel for the Australian pavilion in Shanghai. 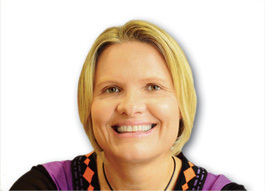 Catherine has also worked as a Senior Management Consultant for the Renault-Nissan Group. This consulting firm, whilst being contained within the Renault-Nissan Group, was highly sought after by external clients due to their expertise and consistent results in the highly demanding automotive industry. Approximately 50% of the work was performed for a range of multi-national companies, enhancing Catherine’s understanding of diverse industries in the international business environment. In her early career Catherine worked as a structural engineer across Europe and the Middle East. She managed a range of prestigious projects including the facades of the European Parliament building. This showcased her ability to work in a high-risk, high-pressure environment. Catherine has the personal ability to inspire individuals to give their all and the experience to bring about transformation in the workplace. She strongly believes that increasing employee participation contributes to job satisfaction, and that this satisfaction is paramount to achieving unprecedented business results.